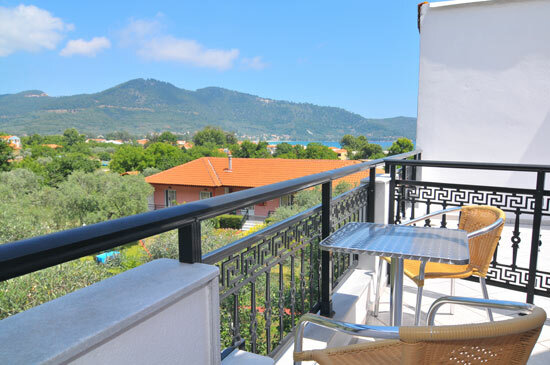 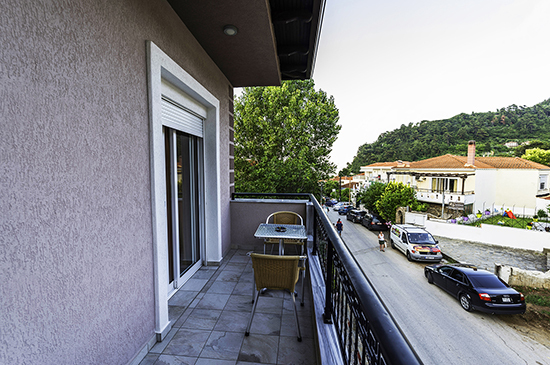 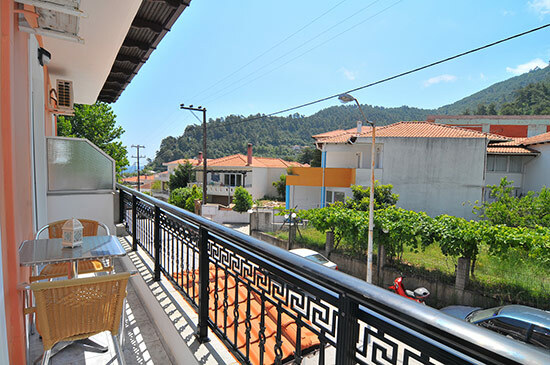 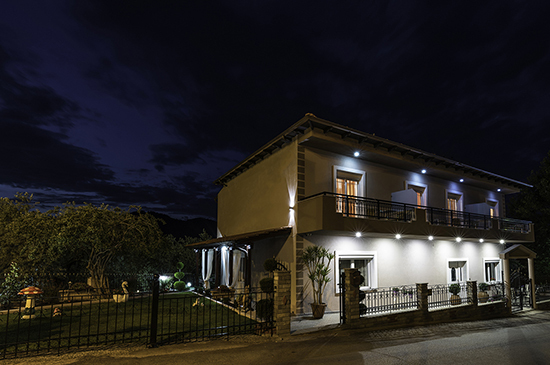 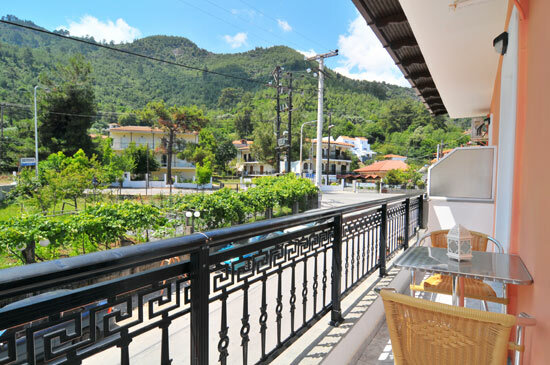 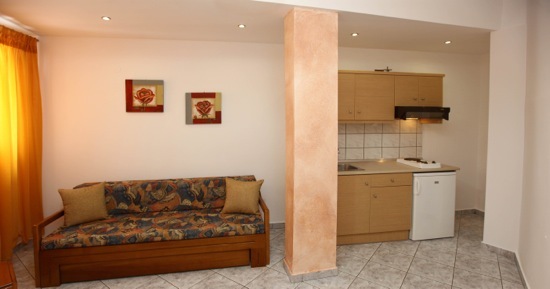 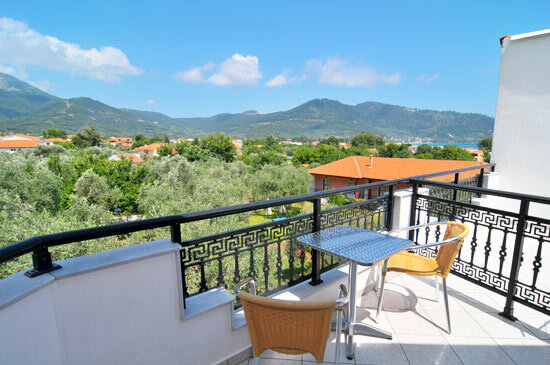 Melida Studios are located less than 200 metres from Golden Beach in Skala Potamia, Thassos. 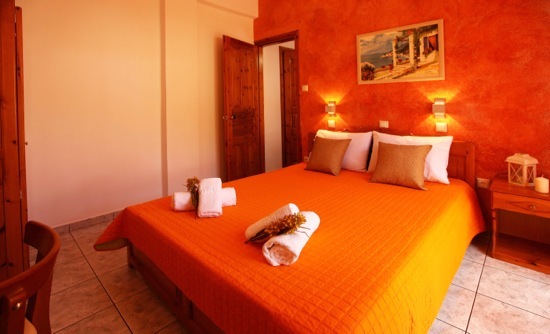 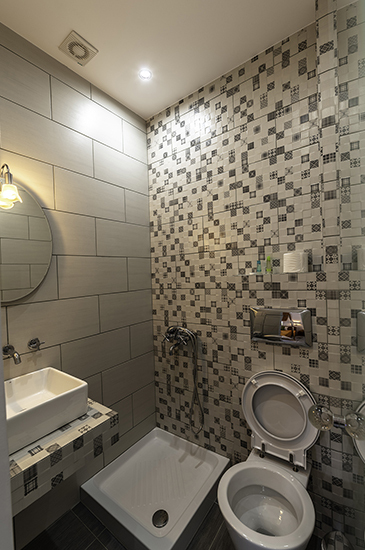 We offer studios and apartments in the center of town near everything you will need for a wonderful self-catering holiday. 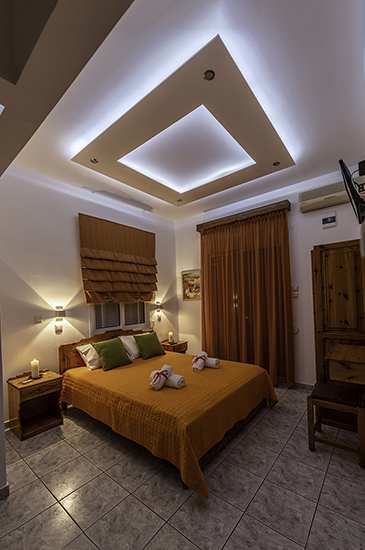 All of our accommodations are fully-equipped with a kitchenette, refrigerator, water kettle, air conditioning, television, and heating for our winter guests. 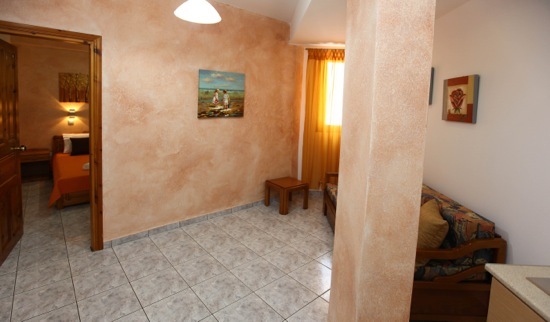 Our apartments have a bedroom, living room, bathroom, balcony, and can sleep 2-4 people. 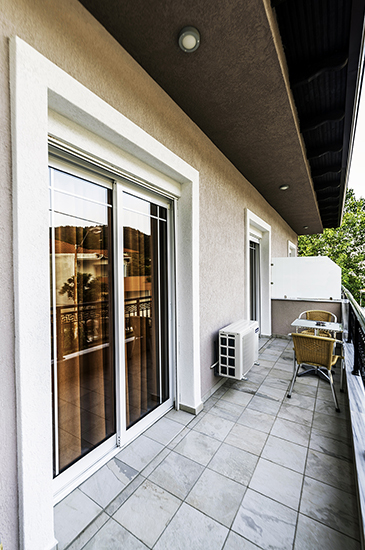 Our studios have a bedroom, bathroom, balcony, and can sleep 2-3 people. 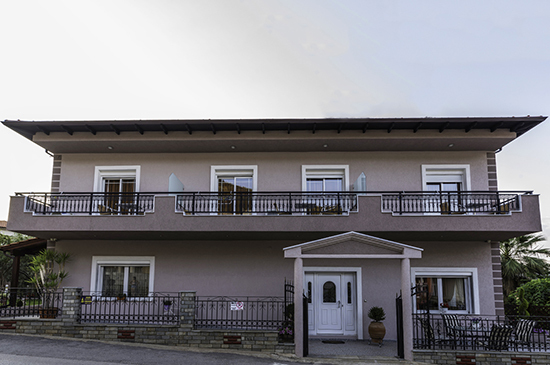 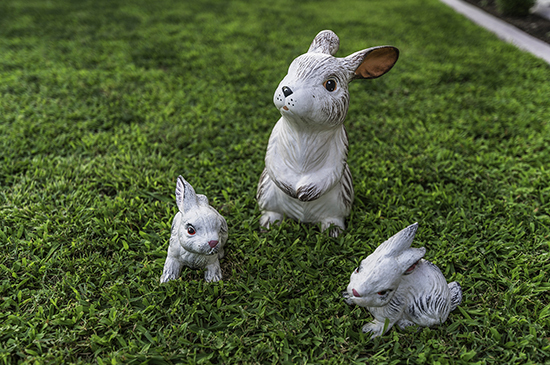 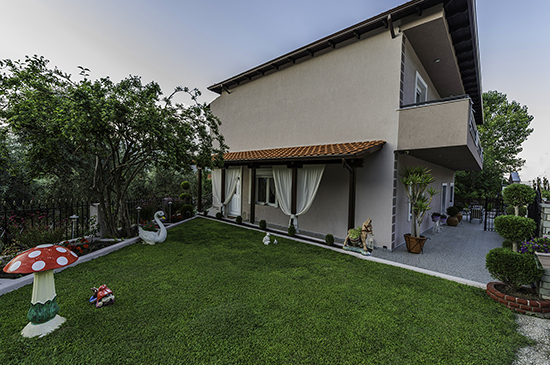 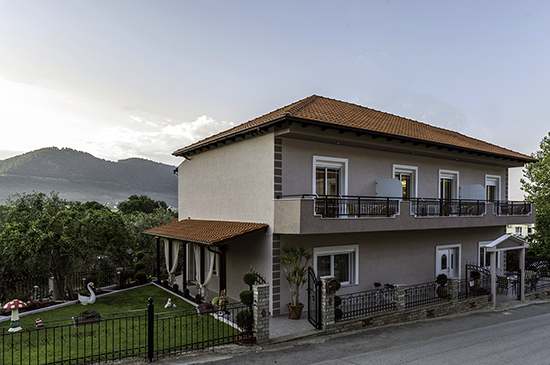 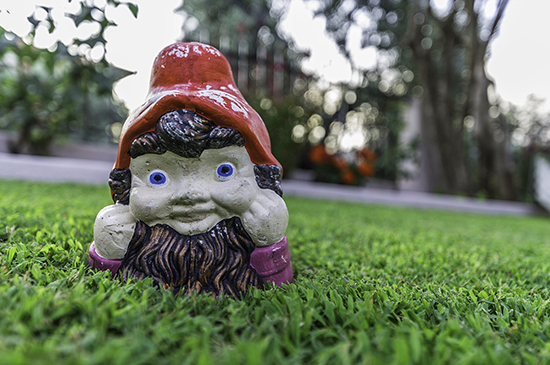 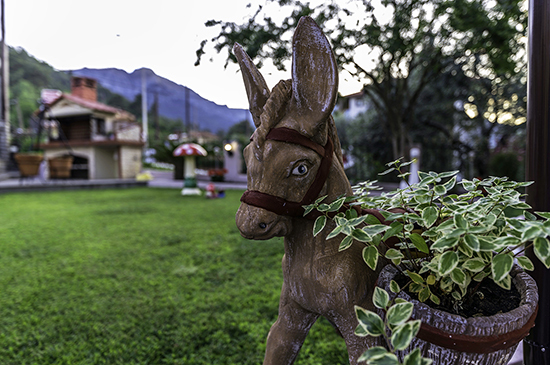 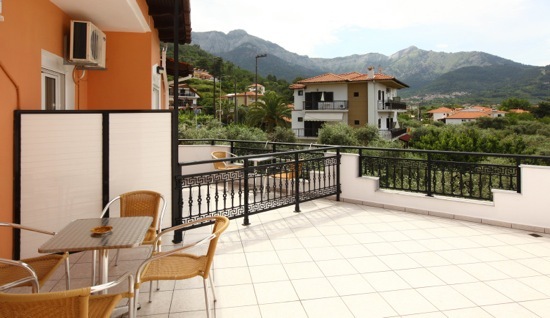 Along with our studios and apartments, we offer a garden to relax in with a lovely view of our beautiful green mountains, a barbecue for those who enjoy grilling under the sunshine, free WiFi access and parking. 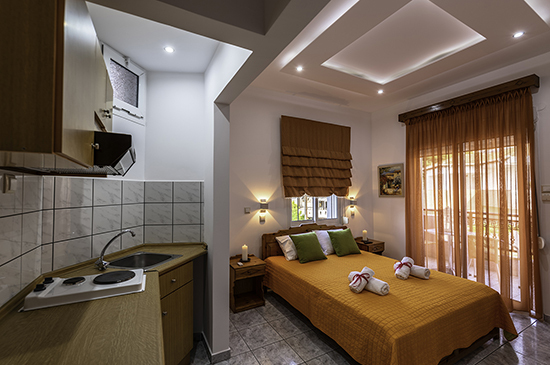 A very short walk away you will find supermarkets, pastry shops and bakeries, meat and fish markets, trendy beach cafés, sea-front restaurants and snack bars, motorcycle and car rentals, taxi and bus services, and an ATM. 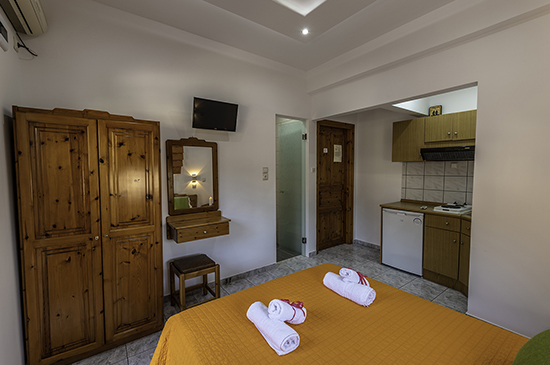 We'll do everything we can to help you have the most wonderful and complete experience in order for your holiday on Thassos to be the best you've ever had.